Christopher Benson, who died last Saturday. His funeral service as Emmaus will be on Saturday, April 6 at 1:00 PM. Jim Wade, as he recovers from surgery. 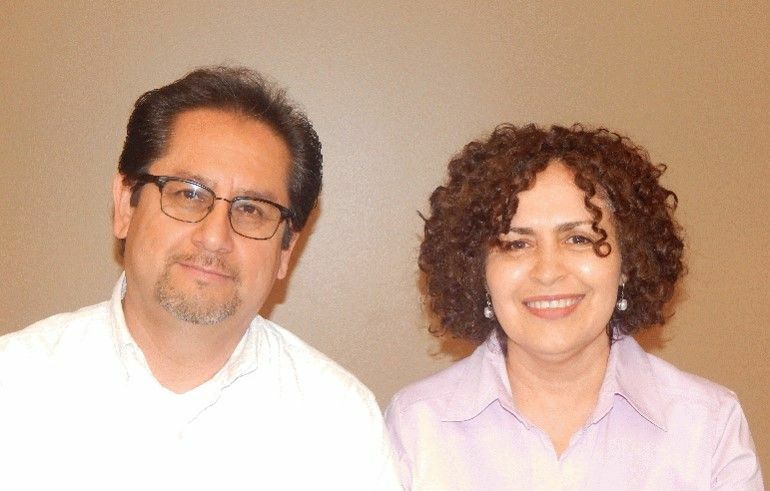 This Saturday, parishioner Jose Rivera will be ordained to the permanent diaconate by Bishop Vasquez. He has been assigned to Emmaus Parish. 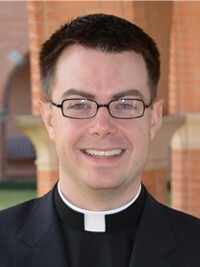 He will be assisting at all Masses this weekend and preaching at the Sunday 10:30 AM and 12:15 PM Masses. We will have a reception for him after the Saturday vigil Mass and he will be present after all the other Masses. Please welcome Deacon Jose and please offer congratulations both to him and to his wife Aracely. On Monday, April 1, Fr. Barry Cuba will be joining the parish staff as our second parochial vicar. As I said at Masses this past weekend this gives me two parochial vicars at one of the busiest times of the year. I am very grateful for that. Fr. Barry will be present at all Masses on April 6 and 7. Please welcome him to the parish. Divorce is one of the most traumatic things that one can face in life. In addition, as a priest, I have spent a lot of time counseling individuals who have incorrect understandings of Church teaching on divorce. That often causes a lot of pain and very often, as well, a sense of isolation among those who are going through a divorce. For that reason I am very pleased that we have been able to organize a support group here at Emmaus for parishioners who are dealing with issues of divorce in their lives. It is an opportunity for those who have suffered the pain of divorce to experience healing and support from others. It is an opportunity as well to come to deeper understanding of how to continue on living our Catholic faith. 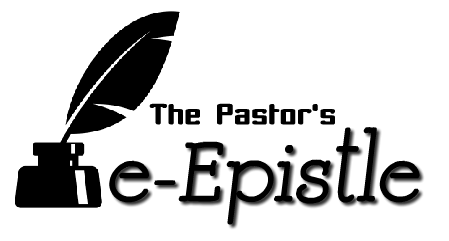 If you would like to find out if this group is for you, just let me know at pastor@emmausparish.org and I will connect you with the coordinator of this ministry for our parish. There are just a few weeks left in Lent. With an additional parochial vicar here there will be three of us available for confessions on Wednesdays from 4:30 PM-5:15 PM and on Saturdays from 4:00 PM-4:45 PM. A word of advice: be early. Very often we sit there waiting for penitents during the first twenty minutes of those times and very few come. Then a large number show up in the last 20minutes and it is hard to get everyone through. 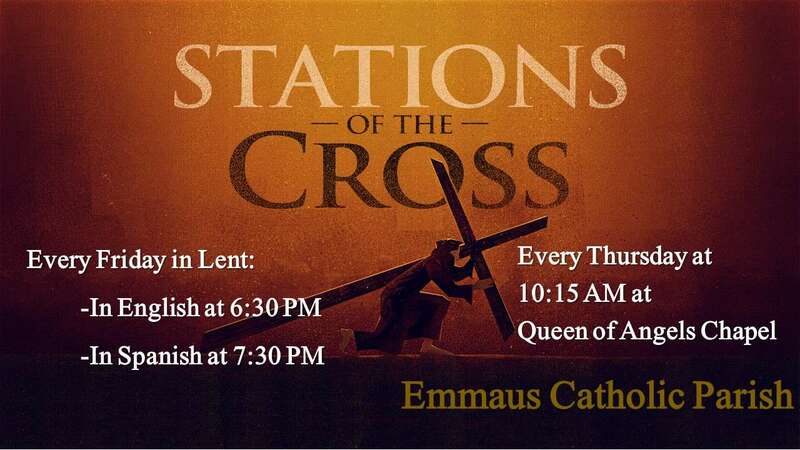 You last opportunity for confession before Easter will be on Wednesday, April 17. But, please, do not put it off until then as many often do. Pizza for the Parish: tonight at 5:30 PM in the Great Hall, $5 a person!